Classy and chic, this stylish analogue watch by Tommy Hilfiger will be an ideal pick this season, it will complement all your casual outfits. 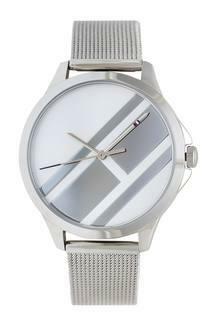 It features a round dial and stainless steel strap creates a lovely look that will have passersby doing a double take. It comes with a warranty of two years and water resistant capacity up to 30 meter which makes it more durable.